In the mood for movies? Our screens are opening on April 27th! 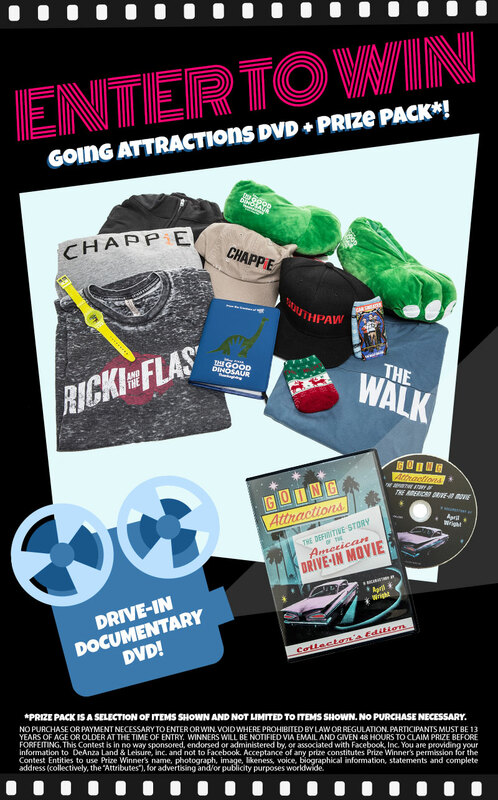 And, we have the Mother Lode of movie prizes to get you ready for the drive-in! Scrat's epic pursuit of his elusive acorn catapults him outside of Earth, where he accidentally sets off a series of cosmic events that transform and threaten the planet. Get ready for big laughs as Scrat and friends try to get themselves out of this giant mess! Ice Age: Collision Course hits the drive-in on July 22nd. 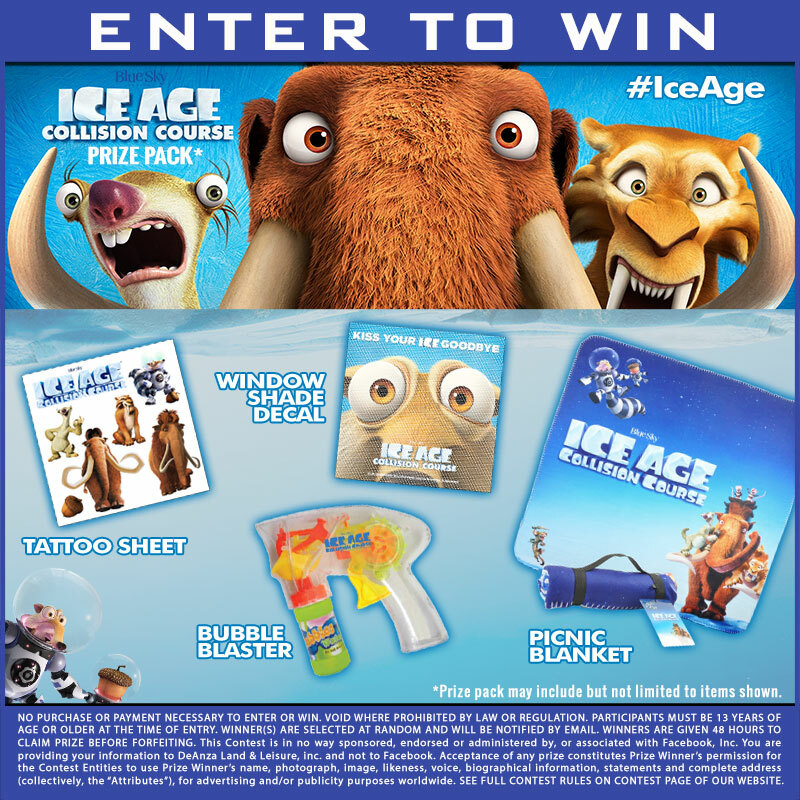 We are giving away an official Ice Age: Collision Course Prize Pack! Submit your information below for a chance to win. Contest ends 8/3/16 at 11:59pm. One lucky winner will be randomly selected on 8/4/16. Winner will be notified via email and have 48 hours to claim prize. Be sure to add info@redwooddrivein.com to your address book to ensure our emails make it to your inbox! 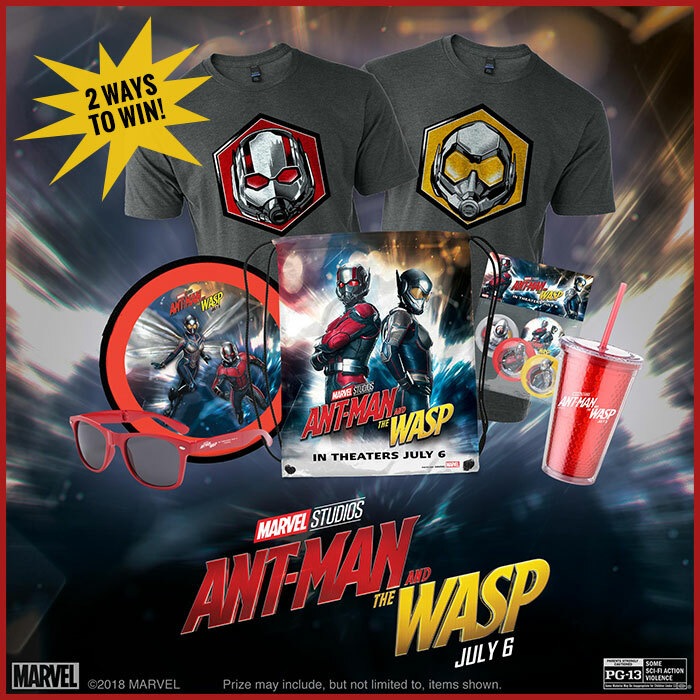 *Prize pack is a selection of items shown and not limited to items shown. No Purchase Necessary. Contest ends February 2, 2016. 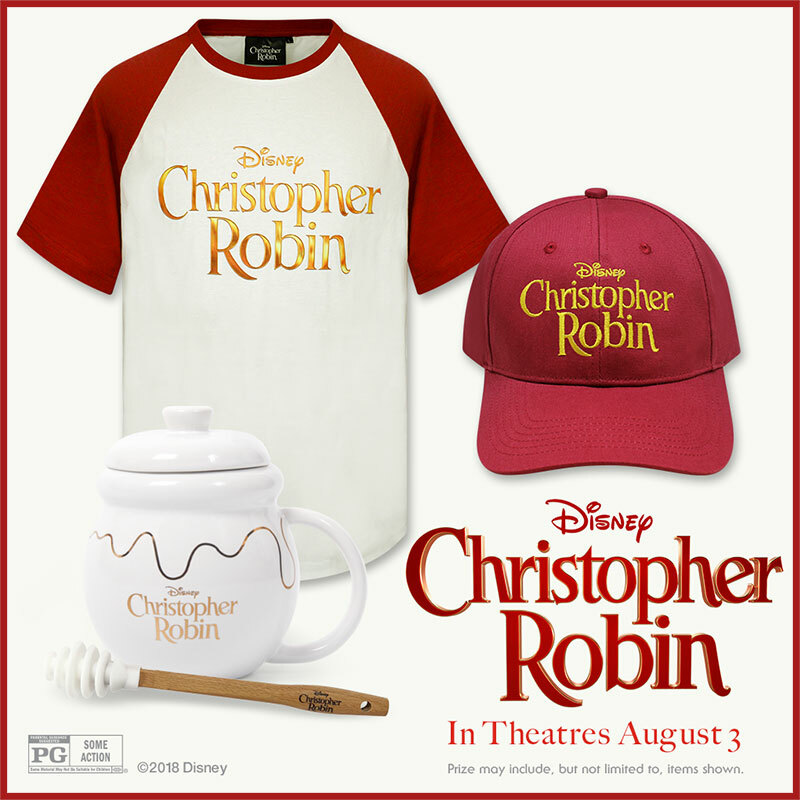 Winners are notified via email and have 48 hours to claim their prize. Be sure to add info@redwooddrivein.com to your address book to ensure our emails make it to your inbox. 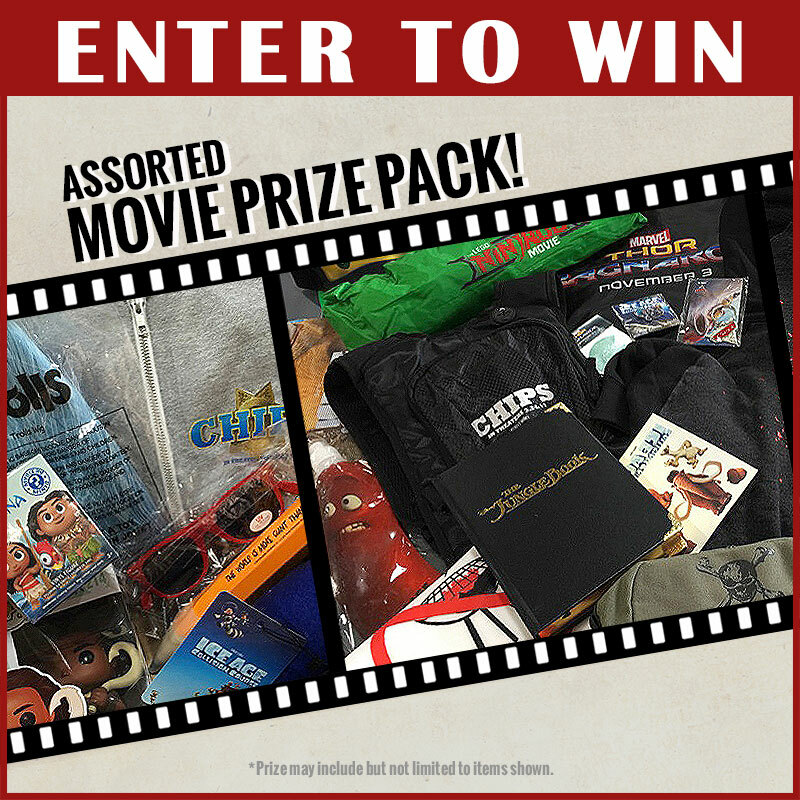 Enter to win an Assorted Movie Price Pack* from a variety of movies that came out this year! 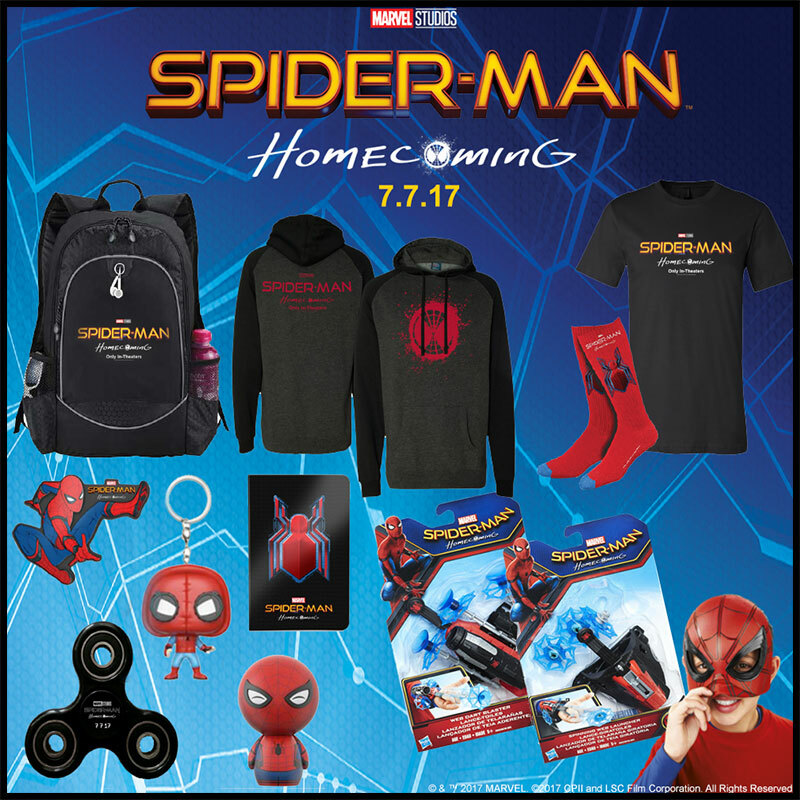 There will be 2 winners! 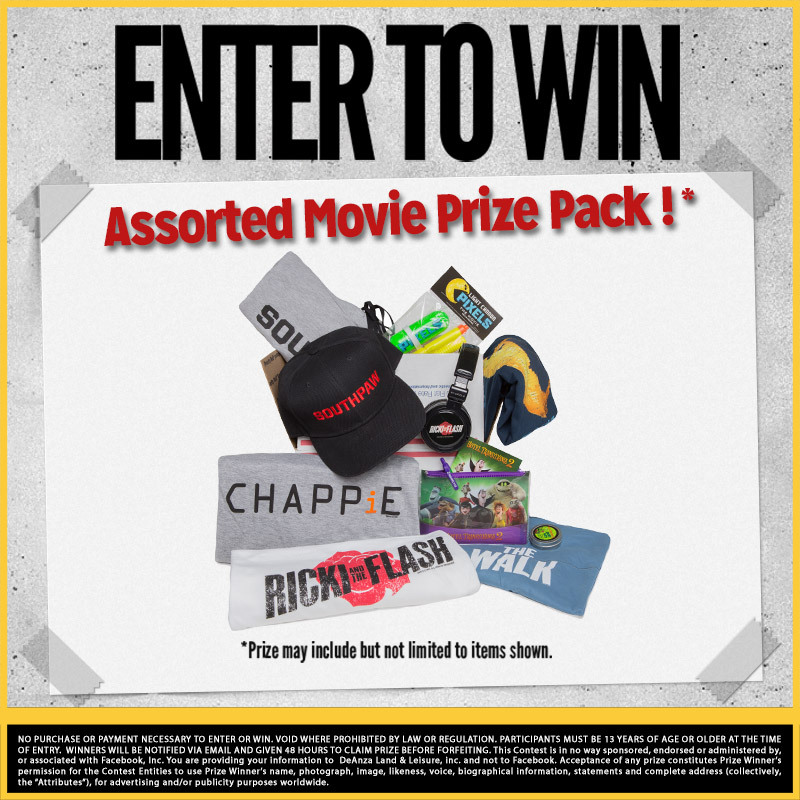 Packs could include prizes from Chappie, Ricki and the Flash, Southpaw, Pixels, The Walk, and more. 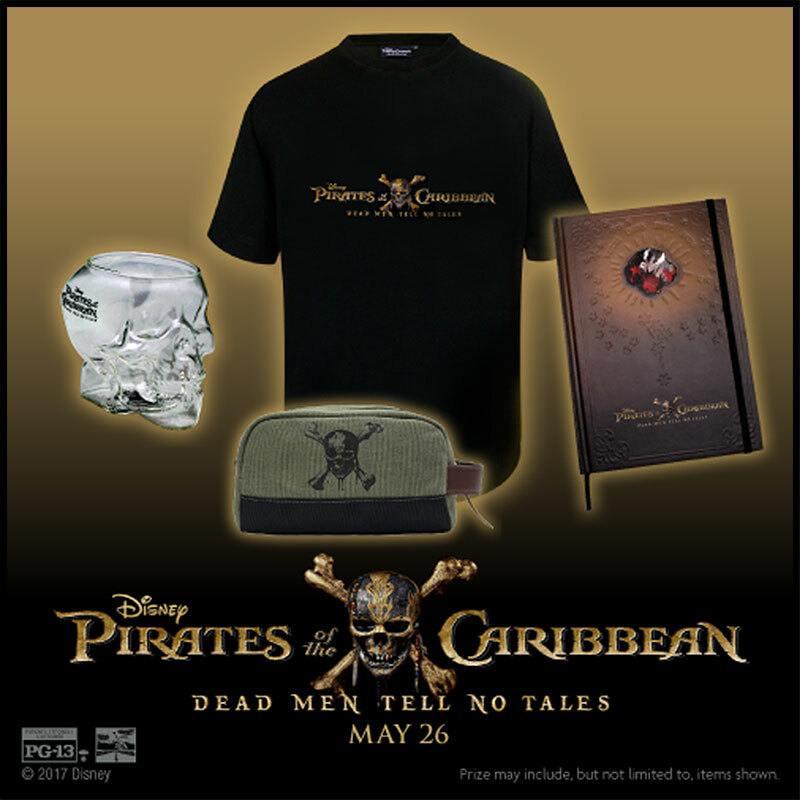 *Prize packs could include but are not limited to items shown. No Purchase Necessary. Contest ends midnight November 1, 2015. There will be 2 winners. 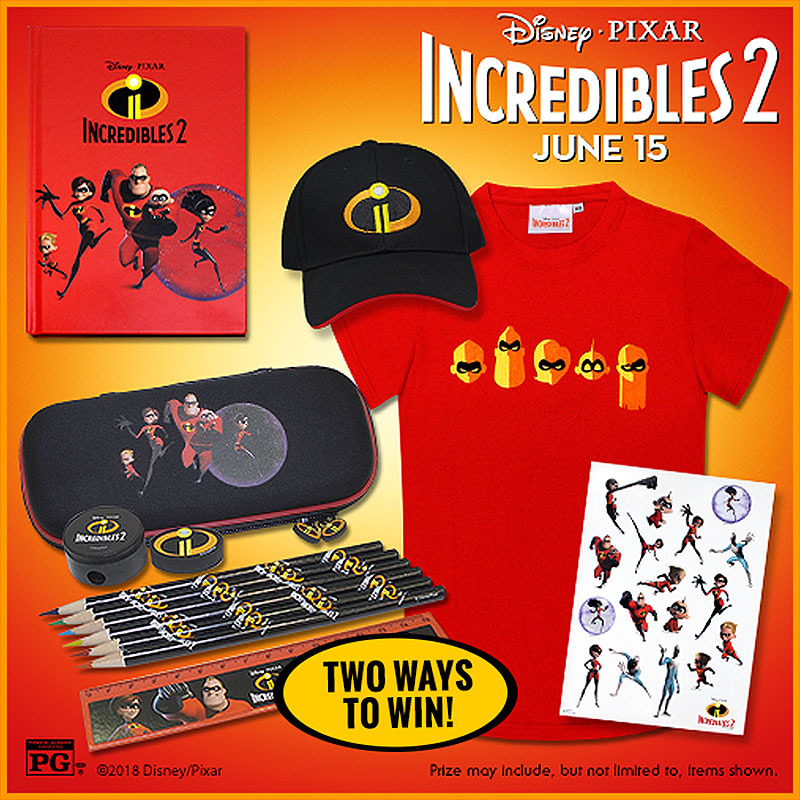 Winners are notified via email and have 48 hours to claim their prize. Be sure to add info@redwooddrivein.com to your address book to ensure our emails make it to your inbox. 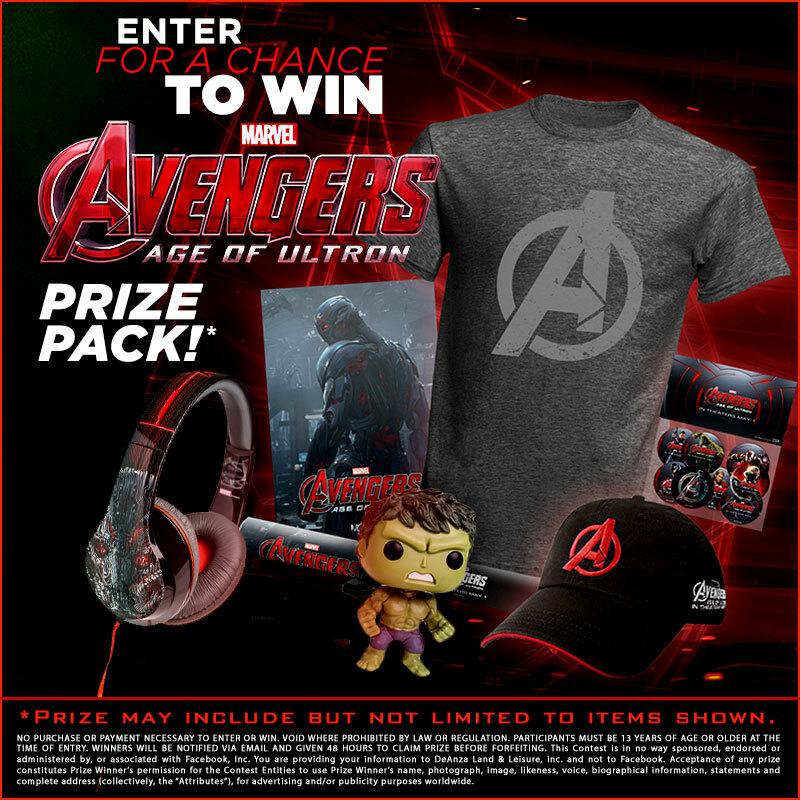 Enter to win an official Avengers Prize Pack*!